“DIOnavi. Hits record 200K Holes” DIOnavi. becoming the New Golden Standard in Digital Dentistry. The DIOnavi. global syndrome continues to capture overseas markets including the United States and China. 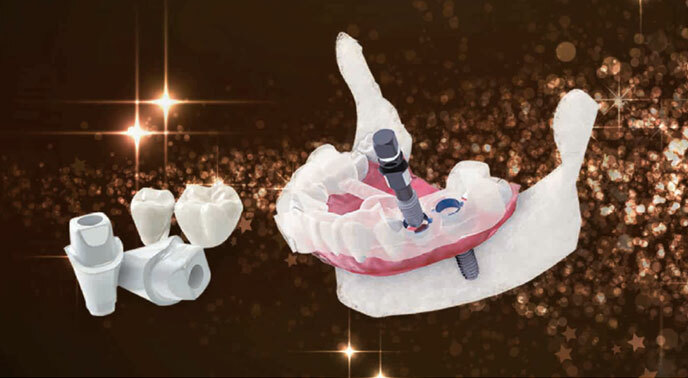 “Digital Workflow” is one of the top keywords in the dental industry of 2018, and it surely hit the global dental trend this year with the digital implant system being one of the leading digital technologies to seize the spotlight. Among those digital implant systems, DIOnavi. from DIO Corporation, a leader in digital dentistry (CEO Jinbaek Kim), was truly the hottest system of the year garnering global attention. DIOnavi. continues soar through success reaching a new record within a year! The digital implant system DIOnavi. is quickly becoming the golden standard in the digital implant industry having reached 200,000 holes in October. This is an unprecedented record in which the same number of holes achieved in the course of 3 years was reached within just a year, doubling the growth rate and further driving the DIOnavi. phenomenon. It is significantly meaningful because despite the release of other guide systems from different brands, DIOnavi. is cornering the market by overwhelming performance. DIOnavi.’s dramatic growth rate is undoubtedly led by the global market. DIO’s aggressive marketing activities targeted to overseas markets centered around the United States and China, have proven to be successful with the intensity of the DIOnavi. phenomenon. Since its global launch in March 2016, DIOnavi. has experienced exponential growth of over 360% YoY in 2017 and over 170% YoY in 2018. With further expectations in achieving historical records and performance, DIOnavi. is on a roll continuing to dominate the global market. DIO is planning to accelerate its expansion in the U.S. and China led by DIOnavi. and other major products. Also, DIO Digital Academy which initiated in September was newly established, based on a joint curriculum with the global prestigious College of Dentistry in New York University (NYU) and 3Shape, a global medical device and dental materials company. 50 courses will be held next year in 2019 of which 30 courses is targeted to dentists from China, in line with DIO’s focus in the Chinese market. DIO plans to expand in the States by hitting the mainstream market through its premium strategy, providing state-of-the-art technology and advanced systems to major cities and clinics. DIOnavi.’s future prospects are brighter than ever and with this continuing upper trend, DIOnavi. is expected to hit the 400k mark in 2019. Beyond accuracy and stability, DIOnavi. applicable to any case! The biggest reason for DIOnavi.’s breakneck growth in the global market is due to the Full Digital method providing highly improved accuracy compared to previous guide systems. This Full Digital method not only provides accuracy but also stability and differentiates from other methods in that it has various indications, making DIOnavi. a truly popular global brand. From input data to the output product, DIOnavi. operates on a full digital process. Since the treatment is based on digital data, surgery can be executed and completed faster as the surgeon can run a 3D pre-simulation based on the patient’s oral data and quickly register the placement position, angle and depth. DIOnavi. is an outstanding system that provides accuracy in the initial drilling stage for safe implant placement. Another key feature of DIOnavi. that distinguishes itself from other brands is that it provides a wide range of indications. Whether it is edentulous, maxillary sinus elevation, immediate loading after extraction, narrow ridge, narrow interdental, opening limitation in the posterior, immediate loading of prosthesis after placement in the inferior, the clinician has the option to select according to the type of case. DIOnavi. special kit options for various indications provide customized experience, such as the Master Kit for standard implant cases, the Wide Kit for posterior placements with opening limitations, the Narrow Kit for narrow ridge cases, and the Sinus Crestal Approach Kit optimum for sinus cases In addition, there is the Special kit designed for fixing a surgical guide used for edentulous or partial edentulous. Capturing both Patient and Surgeon. Dental treatment is one of the most feared treatments for patients due to the excruciating pain induced by big incisions. Since DIOnavi. is the flapless treatment method, it is much less pain and time for the surgery. Recovery time after surgery is also shorter so patients are highly satisfied with the DIOnavi. On the other hand, the surgeon can run a simulation based on the patient’s oral image and anticipate the placement position, angle and depth on which the best surgical method can be determined. DIOnavi. provides fast and accurate surgical solution for everyday case with reducing chairtime and stress, and giving more confidence to the surgeon. Lessening the pain of surgery to wipe away patients’ fears and decreasing the stress for surgeons to give them more confidence, as well as improving management of the clinic are the very reasons DIOnavi. captures both patient and surgeon. PreviousGlobal Digital Dentistry Training Program DIO Digital Academy Successfully Holds the last Course of the Year.